There’s no doubt that bullying has become a problematic epidemic in the United States, but just how much of a problem has it become? Whether it be cyber bullying or bullying in real life, just about everyone has experienced some degree of bullying throughout their lifetime. Though some children and teens experience bullying at high rates and with more persistence than others, generally speaking, just about every child around the country is mostly likely going to have some type of connection to bullying. 20% of students in the United States grades 9-12 experienced bullying or are being bullied. 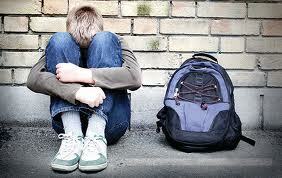 28% of students in the United States grades 6-12 experienced bullying or are being bullied. 60% of middle schoolers say they’ve being bullied, while only 16% of the school staff believe that students are bullied. Nearly 160,000 students stay home from school every day due to fear of attack or intimidation. 30% of students say they’ve brought a weapon to school as a result of being bullied. 6% of students say they’ve seen bullying in their schools. Over 25% of young people have been bullied repeatedly through cells phones or social media. Bullying stops within 10 seconds 57% of the time when a bystander intervenes. 30% of the youth admit to bullying others. Bullying was factor in 12 of 15 school shootings in the 1990’s. Sadly, children and teens that are considered different than others are the most frequent targets of bullies. Youth with disabilities; gay, lesbian, bisexual and transgender (LGBT) students; students that are overweight; and students that are perceived as “weak” or “insecure” are the most likely targets of bullies. However, even if a child does have these risk factors, it doesn’t mean they will get bullied. Parents and teachers that are in close contact with children on the school’s campus need to help put bullying to an end. Whole children need to come together to support and accept one another to help reduces these alarming statistics. If you would like to learn about how you can help put an end to bullying, contact Simple Acts of Care and Kindness at 866-459-7225. Or visit www.simpleacts.org for additional information regarding bullying.